Our goal is to raise $20,000 in support of our mission to promote the welfare of companion animals in the community. Join the AFA in becoming a fundraising animal at Animal Care Sanctuary’s (ACS) 5th Annual Mutt Strut Dog Walk, 5K, & Fun Fest. 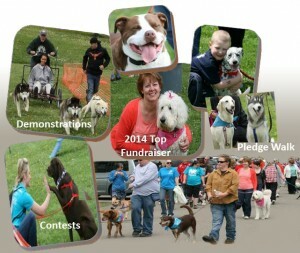 The Mutt Strut will be held on May 16, 2015 from 10am-3pm at Riverfront Park in Sayre, PA. The doggone fun day will include a 5K race/walk (with your dog if you wish! ), a pledge dog walk, canine contests, food, and entertainment. Prizes will be awarded for the top individual and team fundraisers, race winners, as well as for the winners of the following contests: owner-pup look alike, tail wagging, frosty paw eating, and best dog trick. Some of the days’ entertainment includes the SPEXX rock band, agility demonstrations, bounce house, and face painting. Can’t make it? No problem! If you can’t attend the event, become a virtual walker and register online to raise money for the animals! All Proceeds Benefit Animal Care Sanctuary which is in its 48th year of operation, caring for animals who have found themselves without a home. ACS cares for 500 animals on a daily basis, provides adoption services, and a low cost spay/ neuter veterinary clinic. 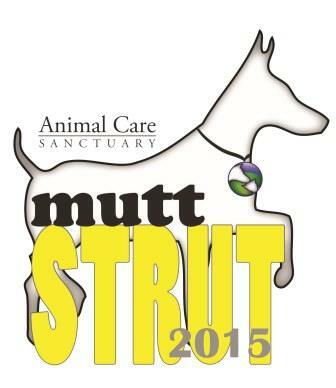 The Mutt Strut is our largest fundraising event of the year. Our goal is to raise $20,000 in support of our mission to promote the welfare of companion animals in the community. ACS relies on the funds raised in order to conduct its operations as it does not receive subsidies of any kind. Get involved by registering for the walk or sponsor the event. Registration can be completed online at http://www.animalcaresanctuary.org or by calling 570-596-2200. Dozens Run in 5K at Fifth Annual "Mutt Strut"